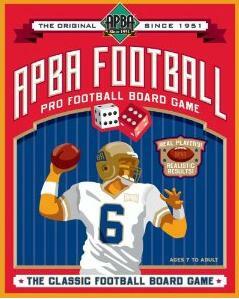 APBA Pro Football Replays and More! I’ve used the APBA Football Master game to replay several seasons. The Master game provides the “ebb and flow” of an actual contest and allows the “coach” the opportunity to deploy multiple personnel packages to mirror today’s game or the single platoon system of yesteryear. On numerous occasions, I’ve matched team records and have come extremely close to replicating team and individual statistics. My original purpose for creating this blog was solely to present my current and previous replays, offer “method of play” alternatives, share innovations, provide tools for evaluating individual cards, post links and informational tips to assist with preparing for and conducting season replays. Of course season replays will always remain the focal point, however, it’s my goal and ambition to cover all aspects of APBA Football ranging from historical, solo tournaments, league play and the finer points of Face-to-Face play. To accomplish this, I’ve enlisted the help of the finest minds in all APBA Football. My team of authors have been former card makers for the game company, innovators, league commissioner, writers for the APBA Journal, and APBA Hall of Famers. Site authors are Mr. Mark Zarb, Mr. Ray Dunlap, Mr. Dave Urban, Mr. Greg Wells, Mr. Phil Molloy and Mr. Scott Griffin. Site contributor is Mr. Doug Reese. For any APBA Football related questions, feel free to contact me at oguard62@yahoo.com.